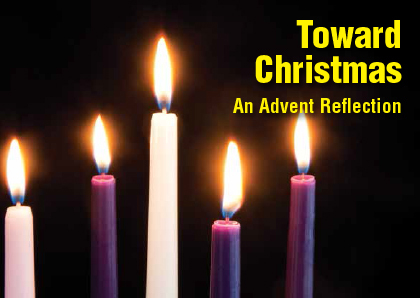 In the run-up to Christmas 2015, we produced a FREE pocket-sized Advent reflections booklet called Toward Christmas: An Advent Reflection. The booklet was hugely popular, and we no longer have paper copies available, but you can download a pdf copy. Based on the traditional themes of Advent, the booklet is our gift to you, inviting you into your own journey of reflection on the journey to Christmas.